Dynamic Smoke Dispersion Technology™ ensures it is easier to use and more effective than ULV Sprays, thermal fogging and other smoke generators. FUMITHOR DELTA provides highly effective smoke generation technology for the control of a wide range of insect pests. FUMITHOR DELTA uses no solvents, is non-tainting and leaves no residual odour. FUMITHOR DELTA uses smoke to reach inaccessible areas, penetrating deep into the tiniest cracks and crevices where the pests hide. The smoke can penetrate into places that are simply not reached by thermal fogs or ULV sprays. The active constituent – deltamethrin, is deposited on vertical, horizontal and underside of horizontal surfaces ensuring the most thorough treatment possible. 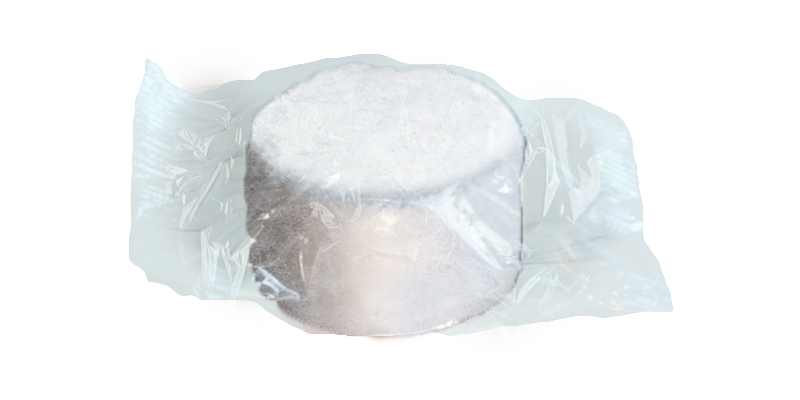 FUMITHOR DELTA is the only insecticide smoke generator to use deltamethrin, a broad spectrum pyrethroid, as the active constituent. 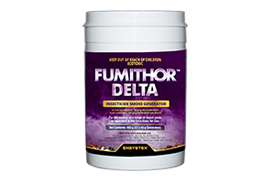 FUMITHOR DELTA is proven in independent trials to be up to 10 times more potent than other smoke generators. Less insecticide per m³ means it’s more economical while reducing operator exposure. Deltamethrin has a well-known and proven good toxicological and environmental profile. Smoke vapour is the optimal method of transmission when targeting large areas due to the minimal quantities of pesticide required, protecting you, your property and the environment. Lighting the FUMITHOR DELTA tablet. The flame always needs to make contact with the tablet (not just with the cellophane), for up to 10 seconds; as shown in this VIDEO.